The median pay gap at J Walter Thompson UK Group is 44.7% in favour of men, WPP revealed in its Gender Pay Gap report today. WPP has reported a group median pay gap of 14.6% across its 14,000 employees, better than the equivalent national UK figure of 18.4%. Of the agencies, the one with the worst median pay gap is J Walter Thompson at 44.7%. The best performing was Kantar Media which appears to be 12.7% in favour of women. James Whitehead, chief executive of JWT London, said: "These numbers are obviously disappointing and we are determined to improve them. "Where we’ve given real focus with initiatives over the past 18 months, we’ve seen real change in attracting great young female talent into the agency. Now we need to build on what we have started with further actions to make the same degree of change at the more senior levels. We understand it won’t be corrected overnight, but we will be constantly measuring our progress against these activities and will be held accountable by our employees every step of the way." JWT said its group average (mean) gender pay gap is 38.8% and median gap (the midpoint in the ranges of women and men’s pay) is 44.7%. 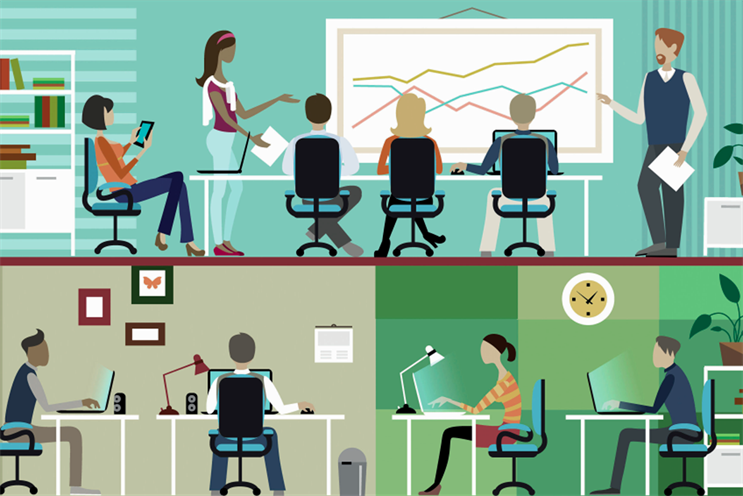 While the entire group is evenly split in terms of gender (49% male and 51% female), a greater proportion of its junior staff are female and a greater proportion of its senior staff, who have higher salaries, are male. This is not the first time JWT has faced flack over gender issues. In 2016, its former global chief executive Gustavo Martinez faced a lawsuit accusing him of racist and sexist remarks. Overall, WPP's mean pay gap (the difference in hourly wage between men and women's pay) is 25.5%. While WPP has a gender-balanced workforce of 51% men and 49% women, the pay gap, the report said, is due to fewer women in senior executive roles, where pay is highest. WPP's report was careful to point out that the gender pay gap is a different number from that of equal pay. The gender pay gap is the result of a gender imbalance in the company, for example, having more men than women in senior roles. Equal pay, however, means men and women being paid the same salary for carrying out the same or similar work. 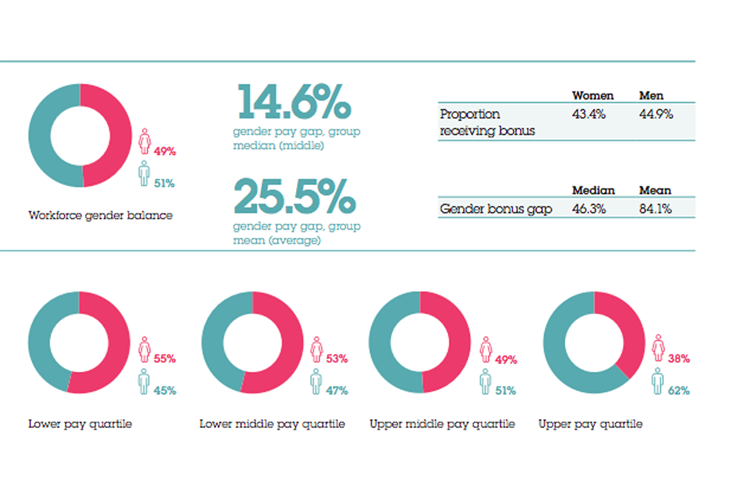 In WPP within the top pay quartile, the ratio is 38% women to 62% men, in line with the industry average. According to the Institute of Practitioners in Advertising only 30.9% of C-suite roles in the UK are held by women. This too affects the median bonus gap of 46.3% and the mean bonus gap of 84.1%. "The bonus gap is significantly larger than the pay gap because in more senior roles, which are more frequently held by men than women, bonuses (which include share plans and are wholly performance-based) represent a greater proportion of overall remuneration," the report, undersigned by Karen Blackett, UK country manager, WPP, said. "WPP does not struggle to attract female talent. We have a gender-balanced workforce and all our companies work hard to ensure everyone is treated equally and has the same opportunities to develop in their career," Blackett said. "Nonetheless, in common with the industry as a whole, we need to do more to change the gender profile of our leadership teams if we are to close our pay gap." To address the lack of women in senior roles, WPP has promised to place greater emphasis on the development of female leaders. This will include: actively promoting best practice in recruitment, training, mentoring, parental leave and flexible working within our companies. "From my own experience I know that greater diversity, inclusion and gender balance leads to more successful and rewarding workplaces. Our challenge is to make sure that our management teams better reflect our business as a whole," Blackett said. WPP also shared the gender pay gap data for its agencies that are listed as distinct legal entities and have 250 or more employees. In terms of mean pay gap, WPP's parent company (which employs around 300 people) is guilty of the worst pay gap at 42.2%. The agency with the smallest mean pay gap was once again Kantar at 3.5%. Across the agencies, the company with the fewest women in a position to earn a salary that falls within the top quartile is e-commerce specialist company, Salmon which as 88% men in the top quartile and only 12% women. It has a median gender pay gap of 23.8%. The agency with the most gender-balanced ratio in the top salary quartile is Hill & Knowlton with a ratio of 49% men to 51% women and a median gender pay gap that favours women by 3.9%. Millward Brown is close, too, with a ratio of 48% men to 52% women but a median gender pay gap of 8.1%.